CHICAGO -- The Oklahoma City Thunder saw a strange sight when their plane arrived at Midway Airport Saturday morning. 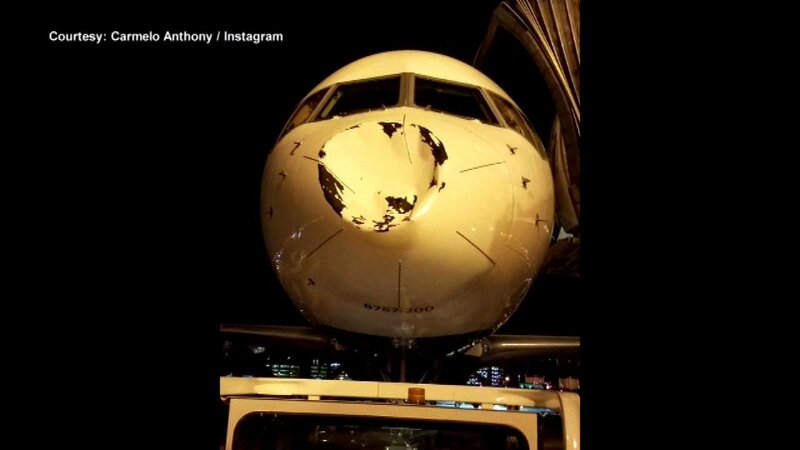 Several Thunder players posted photos on their social media showing the nose of their plane smashed in after landing shortly after 1 a.m.
Delta Airlines spokeswoman Elizabeth Wolf said in a statement that the plane, "sustained damage to its nose cone while on descent into Chicago. The aircraft, a Boeing 757-200, landed without incident and customers deplaned normally. Initial reports indicated a possible encounter with a bird; maintenance continues to evaluate the aircraft. Safety is Delta's top priority.